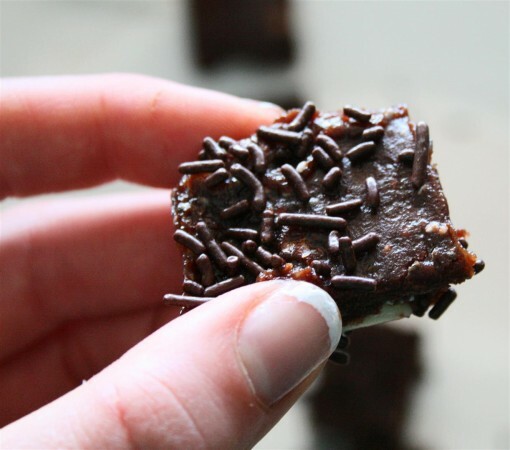 Vegan Superfood Fudge was posted on May 6th, 2011 and is filed under Dairy Free, Desserts, Recipes, Vegan. This entry has 4 comments. You can follow any responses through the RSS 2.0 Comment Feed. Chocolate is my one true love. I’m single, so I can say that with a clear conscience. I’m afraid that even in the name of health and vitality, I could never in my wildest dreams give it up. Nope. Never happening. As one wise human once said, “I’d give up chocolate, but I’m not a quitter.” My heart resonates with this statement. I am not a quitter. Nonetheless, I am happy when I can appease the angel on my shoulder as well as my evil sugar fiend at the same time. So I’m always trying to find ways to marry chocolate and health. This recipe is one of newest obsessions. There is some fat in this recipe…but it’s the kind that’s actually slimming for you! Our bodies can’t function properly without healthy fats, it also keeps our skin smooth and moisturized, helps you manage your moods, stay on top of your mental game, and fight fatigue. And if you can get all that in chocolate…bring it on! On low heat melt the chocolate, coconut milk, and peanut butter. Once it’s melted add the rest of the ingredients and pour into a 9” by 9” pan and chill for a couple hours. Once it’s slightly hardened, slice into 25 squares. Then I give you all the freedom in the world to devour. P.S. Make it the way you like it. This recipe is really flexible…you can skip the raisins or nuts if you’re not into that kind of thing. What’s your favourite “bad” food…or some food you could never give up? Those fudges looks really good! Oh YUMMMMM! 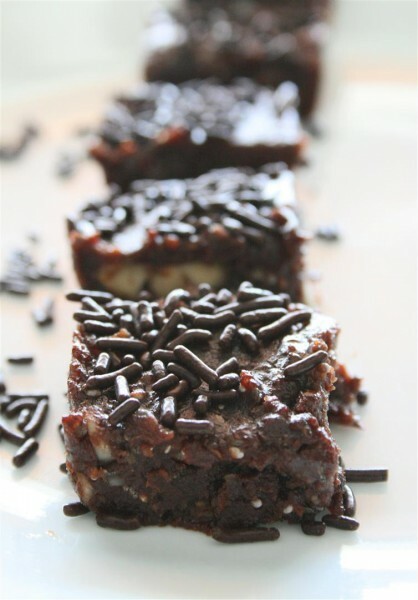 This healthified fudge sounds divine! Great photos too :) I am definitely trying this!